Grandmothers, teenagers, men, women, people of all fitness levels (from athletes to lifelong couch potatoes now turned modern day Groks); people all over the world are going Primal and taking control of their health. 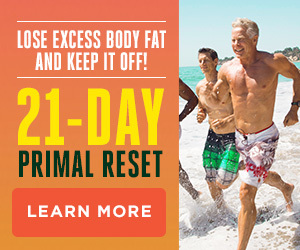 On this beautiful Memorial Day in sunny southern California I bring you another collection of Primal Blueprint Success Stories. 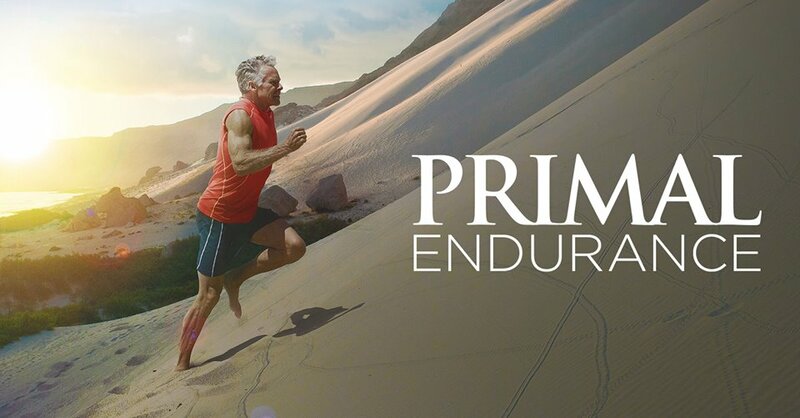 Take a peek at what other Primal Blueprinters have achieved, drop them a few kind words of gratitude in the comment board for sharing their stories and pictures, and then make this the first day of the rest of your Primal life. Grok on! My journey into getting healthy began in October of ‘08. After a checkup at the doctor’s office where my weight was ~290lbs and BP was 160’s over 100’s, I was told I needed to return after a fast to get blood work done in an effort to see if I needed cholesterol medication. She had already decided I needed blood pressure meds but wanted to see the complete picture before prescribing them. Naturally, being the pill-scared person I am, I skipped the follow-up appointment and continued eating myself into oblivion… otherwise known as over 305lbs, no exercise, and a diet full of toxins and inflammatory junk. Besides, who could honestly expect me to fast for AT LEAST 16 hours before a doctor’s appointment!? In February of ‘09, while busy spending my life in front of the computer using the stumble toolbar; I stumbled upon the Daily Apple site. The page loaded quickly and had something I could read right away, which, if you know about stumble, is the key to getting someone to stay on your page for more than .2 seconds. 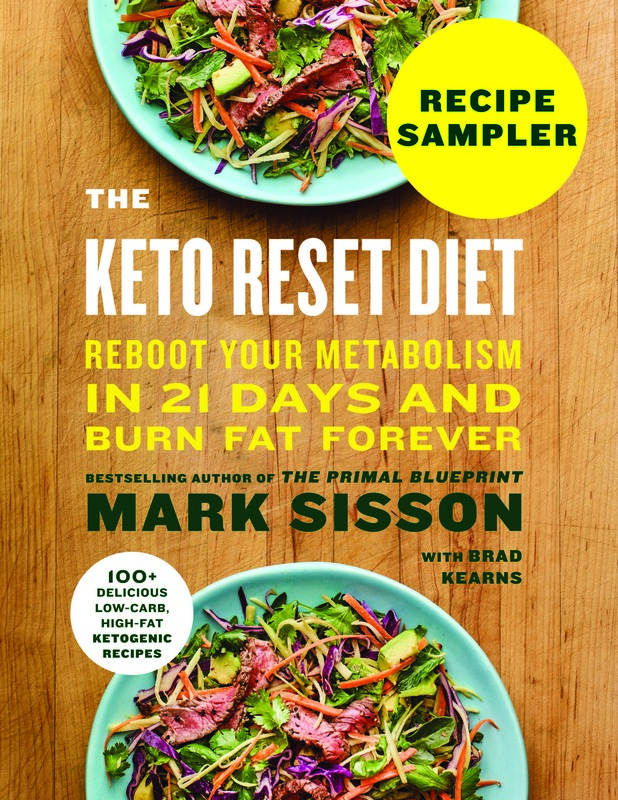 I found the idea of eating fats and cutting out grains to be pretty crazy, but the site didn’t look like it was trying to sell me something, I didn’t have to sign up to read anything, and that Mark guy seemed to have a good flow to his posts. I clicked ‘like’ on the bar and moved on for the night. Every few days I would come back and read more. It soon became more about ‘how’ I could implement the blueprint than ‘if.’ Almost 2 months later, after reading through the archives and learning as much as I could, I decided to give it a 30 day try. That was my way to excuse it to the people in my life, and to be honest, I’d given far crazier ideas much longer tries in the past. I started Primal in April of ‘09. My initial carb flu lasted for about 6 weeks, which is waaaaay longer than it needed to, but I just couldn’t wrap my head around eating that much fat! 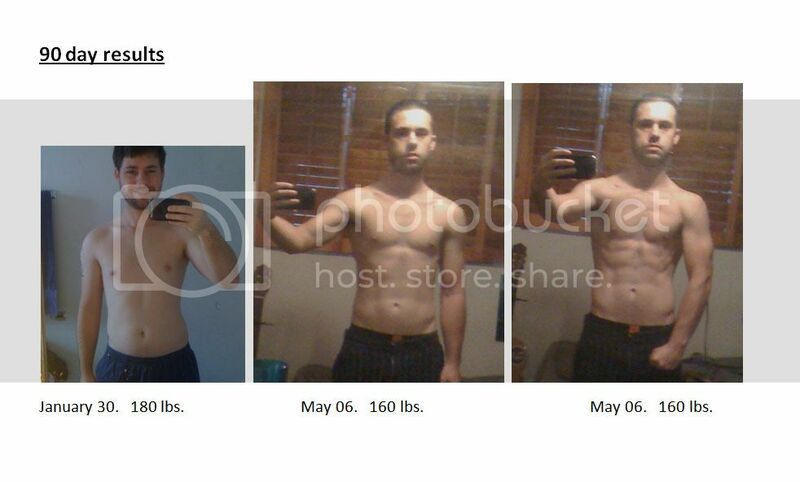 Subsequently, I would crash every week or so and binge off all of the awful processed junk my body was used to. When I finally embraced the “Need sweet, feed fat” concept, I got out of carb flu and into weight-loss proper. By early June, I was down to the 260’s, and by late June, the 250’s. After all of the success, I got lazy and content with what I had done already. I went back to eating the Standard American Diet until the August Challenge came around. I dove into the Challenge month and stuck to 80/20, exercised, participated in the forum, kept a food log, all of it, and I reaped the benefits! By September, I was down to 240 and feeling great again. Again, I got a little lazy and a little content, but this time added a bunch of stress to the mix. I strayed back to SAD for several months, though somehow managed to maintain my weight/size. April of ‘10 was fast approaching, and there was a movement on the forum to start an impromptu challenge month. I decided to join and get back on track. 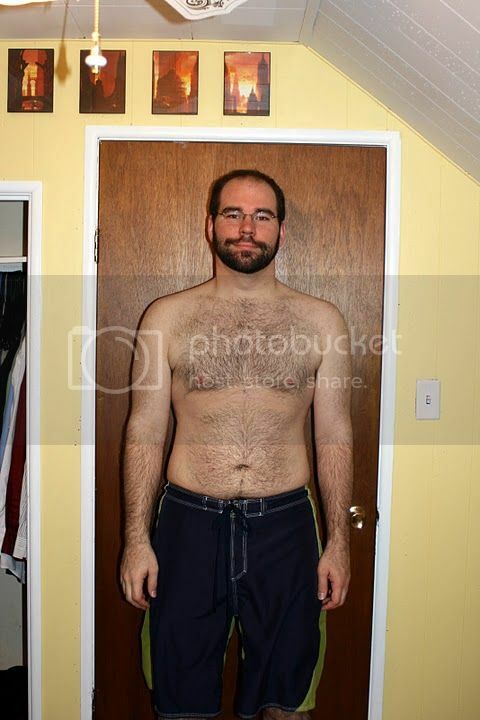 I took my before pictures, set up a new primal journal, set some goals, and I was off. I managed to stay 100% food-wise during the entire month AND kept up with exercise. During the challenge, I also cut out dairy, which is one of the best things I’ve done for myself since getting rid of grains. 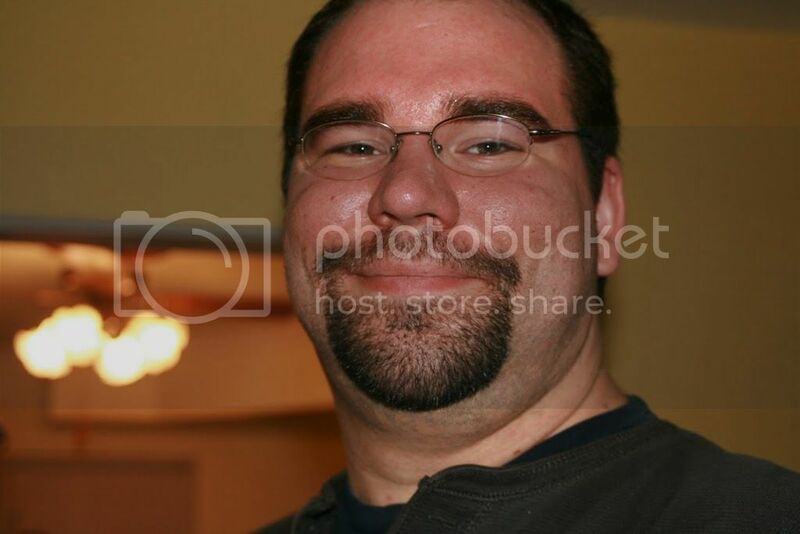 I went from 237lbs at the start to 222lbs. For the first time in my life, I got some muscle definition! 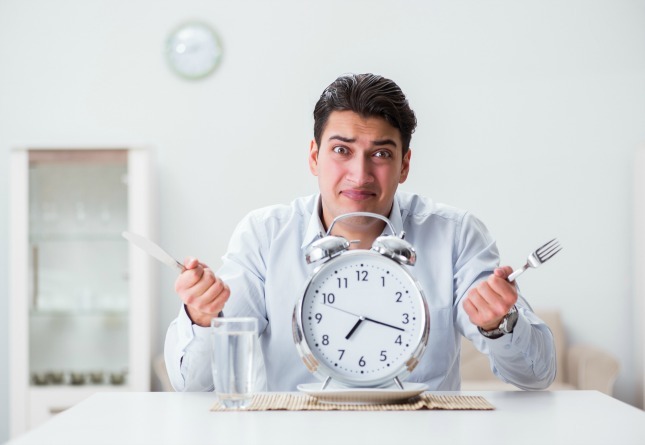 Most importantly of all, I experienced and understood just how Intermittent Fasting functions and the effects it can have. Overall, I’ve been primal for a little over a year, but have only actively been doing it “the way you’re supposed to” for *maybe* five of those months. Even without doing math, that’s less than 80/20, but I’ve still seen amazing results. My guess would be that it was full on in high intensity bursts rather than half-assing it the whole time, but I am proof that it can be done even if you tend to fall off the Primal bandwagon. I’ve gone from squeezing into a 2XL shirt down to comfortably wearing a Large. My pants were a tight 38 or 40, now a loose 36 or well fitting 34. I have TONS of energy all the time, my blood pressure is under control, and I don’t want to pass out after a flight of stairs. One thing is for sure, if it wasn’t for Mark and the Primal Blueprint, I would be in a sad state of health. If not for the amazing, knowledgeable, friendly, and supportive members of the forum, I would have succumbed to all of the nay-sayers. And I don’t think many people can say this, but Stumbleupon effectively saved my life. I’m so happy and grateful to have found the Daily Apple and everything it brought into my life. Thank you Mark and everyone here for helping me get Primal and create a life I can live, not just survive! I’ve been eating primal since about 7/1/09, I’m 53 yrs old, 5’10” , I started at 195lbs, 25+% body fat. My diet has been 90% primal since reading the book, we do have the occasional helping of rice and a piece of chocolate every now and then, but for the most part my wife and I have tried hard to stick to it. As of this week I way 175lbs, body fat approx 10%. I feel great, and I’ve pretty much lost all cravings for grains. Have always been a big chip, cereal, whole wheat bread guy, not anymore and I’ll never go back. 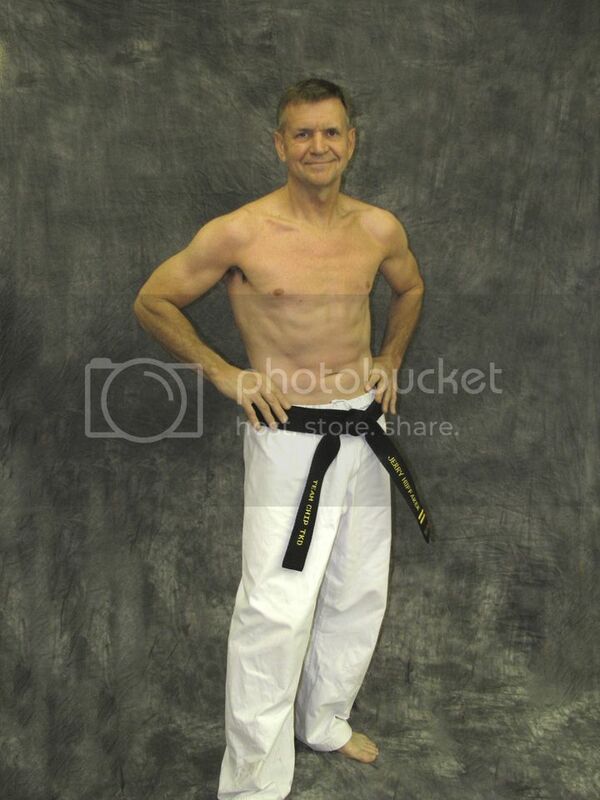 I train in Martial Arts (Tae Kwon Do, Hapkido) 5 days a week, about 45 min – 1 hr a day. Some cardio, some core , some resistence. Not exessive my any means. 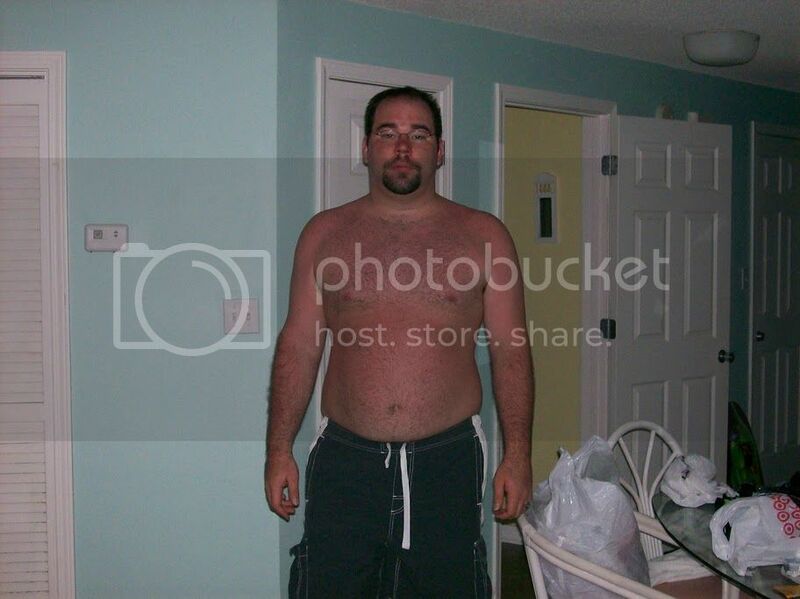 Thanks Mark, I have never felt better, with a very little effort I could get my body fat into single digits. I don’t have a before pic but here’s an after. Thought I’d give you another update, I reached my goal, back to my college days weight of 170-172lbs. I’m not obsessing about numbers but I’m down over 20lbs since the start 11 mos ago, I was in good shape then but I’m in great shape now. You probably don’t remember cause you get so many e-mails, but I’m 53 yrs old. I’ve never felt better. If I wanted to get real picky still have just a bit of loose stuff around the waste , but not much. You can’t turn the clock back but you have proven to me that you can slow it down. Thanks again and I’ll give you my last update when I hit 1yr in. I know you must get hundreds of these, but you’ve made such a huge difference in my life, that I couldn’t resist chipping in! I want you to know how much good you’re doing for just regular people like me, my husband and my daughter. This is going to catch on because it’s right and it works! I have been eating primally for about six months now, and my life has improved dramatically. I’ve never really had a weight issue in the past because I’ve always been active, and ate the “healthy” conventional wisdom diet. I’m 5’8” and weighed 145 to 150 lbs, so I wasn’t winning any swimsuit contests, but wasn’t doing too badly. The last 5 years or so though, I started to steadily pack on weight. I developed an overuse injury in my legs from running, and after surgery was not able to run as much. Then I got a stressful job and couldn’t get to the gym several times per week for the hour or hour and a half that I was used to. I moved to the suburbs and stopped walking to work. Then I had a baby and my mother got sick at about the same time, and my weight peaked at 190 pounds! The scariest part was that I knew my weight was totally out of control, and I didn’t see how I would stop gaining. I was scared. The worse I felt, the more sweets and carbs I ate, and the more I ate, the more I craved. I was exhausted, stressed and depressed from taking care of my daughter and my mother and felt like I couldn’t afford to exercise myself weak to get rid of the extra weight. Pregnancy had messed with my immune system as well, so that after my daughter was born I developed inflammation in all of my joints and in my eyes of all things. My doctor put me on strong anti-inflammatory pills (NSAIDs) and sent me to a specialist who did some tests and told me that I had all the symptoms of a disease that would curve my spine within about 10 years. The only treatment was to keep taking the NSAIDs until I was a candidate for surgery. I was devastated. I had gone from being healthy and active to facing middle age with a crippling disability. Thankfully my husband had purchased the Primal Blueprint and read it without telling me. He started eating scrambled eggs for breakfast while I ate yogurt and granola. Then he started losing weight – he’s now down 30 lbs. I was worried that he was ruining his health, so I read the book and immediately went 100% primal. Within about 1 month of going primal the joint pain went away almost entirely and I stopped taking the NSAIDs. Now, not quite 6 months later, I’ve lost 24 pounds with no effort whatsoever. I’m nowhere near my goal yet, but I know that I’m going to get there. My weight and my health are back in my hands where they belong. I’m feeling so much more positive and in control, and the better I feel the more I do to take care of myself. I’m very excited to get your Primal Fitness book! My daughter who is now 20 months old is eating mostly primal food too and I don’t know how to thank you. You’ve made a tremendous difference for me and my family. I’m trying to spread the word, but not many people are ready to listen yet. This frustrates me because the kind of inflammation I experienced after my pregnancy is classic with grain sensitivities. I hope your message reaches everyone that wants to hear it, because everyone deserves the chance to cure themselves with food before having to resort to drugs or surgery. Thank you thank you thank you for the work you’re doing! I just wanted to write in to tell you about my first three months since going Primal. I started back near the beginning of February and weighed about 180 lbs. 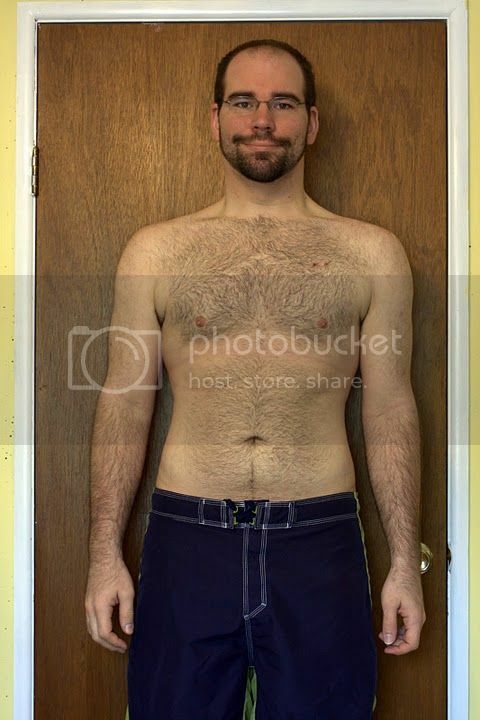 At 5′ 10″, with a waist measurement of around 33, I wasn’t that overweight, and most people couldn’t believe I weighed 180. I suppose I carried the weight well, who knows. Within fourteen days I had dropped eight pounds of fat and who knows what else. I’ve noticed a great increase in my energy levels. My sleep cycle (when permitted by work and school) has evened out. Additionally, my mood has generally been positive as a rule. As of now, I weigh in comfortably at 158 and am still dropping a pound or so every couple weeks. I’ve been working out, focusing on functional strength and conditioning and have noticed a great increase in my strength, explosiveness, and cardiovascular ability. I also notice that the primal way of eating really fuels the body in every way necessary when doing these types of workouts. I recover quickly and am hardly every sore or tight. I don’t have any body fat measurements for you, or any blood levels or anything like that. All I do know is that when I went to the university clinic a couple days ago to get checked up, my pulse was a nice even 50, and my blood pressure was something like 109 over 80. From my understanding, those are good numbers! My favorite thing about this lifestyle is that the results come naturally, with minimal extra effort. I have attached my before and after pictures as proof of my gratitude to your teachings. I am using these photos to help me when I try to spread the primal message. They can be quite effective to the naysayers out here! I am now and will always be grateful to you for deciding to spread this message as it is saving the lives of many people and will hopefully continue to do so. I found your site about 2 years ago and have completely changed how I look at food and at exercise. After reading your book, I was able to talk the husband into hunting and for the last 2 years we have eaten mostly wild game. (Still get bacon and salmon from the store.) Our freezer holds elk, antelope, deer, goose, duck, wild pig and trout. Last year I also hunted and shot my first antelope. Hunting is an amazing and humbling experience. We have a garden and compost in the back yard. I get local eggs. I no longer eat grains, the husband still does some. I even learned to make italian sausage from ground goose. I did not have a lot to lose but wanted to get healthier. I went from 125 lbs to 104 at the lowest but maintain 108. I’m 52 this year and feel better than I have in years. Unlike most of my peers I do not take any medications. I used to run a lot (half marathon x1), lift weights (but not heavy ones) way too much. Currently I lift every 7-10 days and can squat 90 lbs and deadlift my own weight. I take lots of long walks and occasional sprints. Our local park has lots of trees to run in and out of and I like to pretend I’m being chased. Like everyone else on this site, I sleep better, feel better and am stronger than I ever was when I was bodybuilding/running/eating SAD. Your site and your book started my journey to health and I send people your way all the time. Thank you for all you do. Your site and your book really changed my life. Thank you all for sharing your stories! Cliff, your story, especially inspired me. I am sitting here sipping my iced coffee (full of sugary calories) and I won’t even tell you what I just ate for lunch. A year ago, I was the healthiest I had been in a long time. I had gone primal and I felt great. I have since fallen off the primal wagon (I have a long list of excuses) and I have been thinking about starting back to the road to healthy eating and exercising the primal way, but kept thinking “what’s the use. I’ll just fall of the wagon again!” You inspire me to try again though!! Tomorrow is a new day and I plan to start it out the right way! Thanks for the inspiring words!! I just finished reading the book as well. I found it really helpful despite being a long time MDA reader as I found it not only reinforces the information found on the blog but simplifies it. Thanks for sharing your personal stories, everyone. Cliff, your skin looks like it adapted well to your weight loss. Those ripped chests will get plenty of admiring looks this summer, so show them off, fellas! My mom always used to say “you can only help people who help themselves”. She’s right of course, but I’m going to forward this link to friends and family anyway because living it successfully is the best proof there is that it works. I still can’t believe that people are curing diseases like diabetes this way! My only complaint about the primal lifestyle is that I wish I’d found it sooner! Very inspiring, and it helps to see “evidence” if you will, in this form. I have a nice piece of grass fed beef roast from the Farmer’s Market, and am about to cook it up for dinner. Thanks for your knowledgeable and inspiring posts. I really feel fortunate to have found your site. The more inspirational stories such as these that I read, the more confident I become in knowing that living by The Primal Blueprint is truly ideal. It gives me the confidence to continue to grow the primal community to unbelievable heights. June is upon us now. On June 5 I will have been primal for 2 full months. May was by far the best month of my life and I am certain June will be a billion times better. I ordered a 1/2 of 100% grass fed cow almost 2 weeks ago and it will be here soon. I am sharing it with about 10 other people. I will be help grow the community like never before in June and the sequential months. These stores keep me going. Way to go on your “cowpool”! Keep up the awesome work Toad! And to Cliff, Jerry, Jeannie Josh and Vicki, thanks so much for the inspiring posts. I just love to read them as it really gives me motivation on days that I may be needing it! Such amazing stories all of you!! I’m so inspired and that helps keep me focused and motivated for my journey also. thank you! i’ve been on and off the primal path since i found MDA about a year ago. i’ve allowed stress and bad choices to interfere with my health. i just started the 30 day challenge the other day. when i eat SAD, i forget the pleasure and simplicity of living like grok. 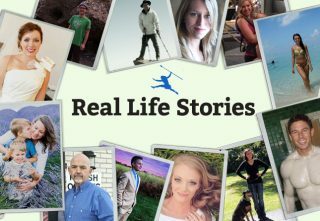 Thanks for sharing these inspirational peoples successes going Primal! C, it pays to go Grok! 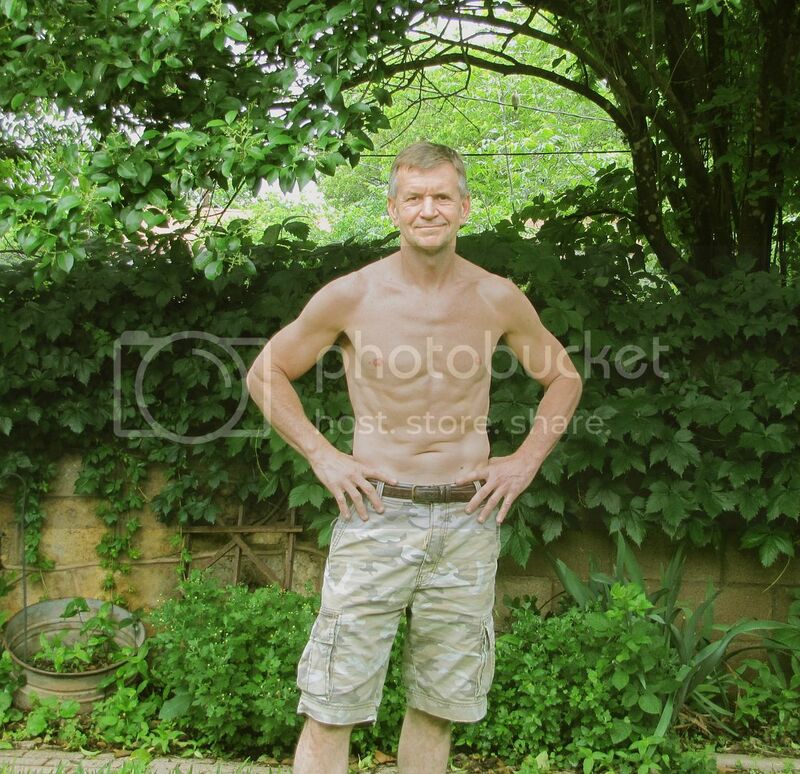 I’ve been PB for the last 2 years, 56 years young, 6′, 154 lbs. @ 10 to 12% BF. Reading Jerry’s email and seeing his pics, I have more belly fat. Is it possible to be too strict with the PB diet, in other words, no cheats? By to strict I mean eating strictly PB thous my body doesn’t cut the last of the body fat and love handles that I have? Thanks for sharing these stories Mark! I am friends with Vicki and her husband and am amazed by how great they are looking; they really are an inspiration! I started following the Primal diet after talking to Vicki about some of my health issues, specifically IBS. 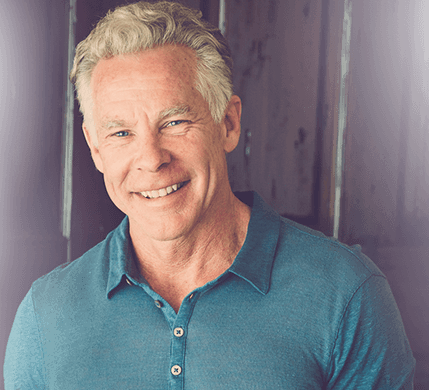 I have had next to no issues since I went Primal…well except for when I cheat and eat grains (which says a lot to me about them). I even feed my dogs a primal diet and they are thriving, especially my older dog who was “diagnosed” with food allergies years ago and put on a hypoallergenic diet which was filled with grain and really did nothing for her. I see such a difference in not only their coats but their energy levels as well. Thank you so much for spreading the word of the health benefits of Primal living!! That’s awesome Jeannie, I love it! Totally brought a smile to my face. These success stories have inspired me to skip breakfast. put my kayak on the lake, catch some fish, pick wild greens (lambs quarters), and saute the fish in lard when I get around to eating. Thanks Mark SAD was killing me. not just figuratively. Cliff, congrats!! Your story was just what I needed to hear this morning. Had a non primal weekend with the family, picnics, bonfires and I indulged a wee to much. This morning I’m feeling like I got hit by a truck!! I hate that feeling, so even though I slipped this weekend reading your story gives me the motivation I need to get back to the healthy way of eating! 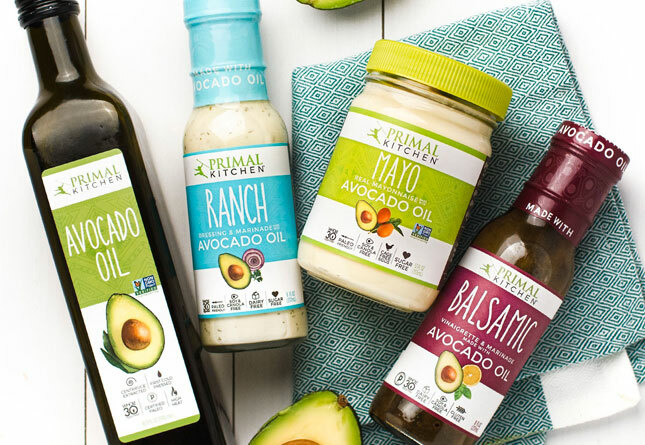 Primal is now my healthy way and I feel so good when I am eating that way. Thanks for your story and thanks for helping me feel better this morning. You look amazing. I have found this very interesting clip on the American Food Industry. It’s a couple of years old but worth a watch. 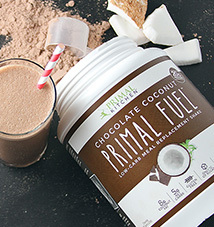 Thanks all for sharing your stories — I’m just starting going primal. I’d cut way back on refined grains a year or so ago, but fell off the wagon and into the refined crap way to often. I just really craved it. Since cutting out grains, my cravings have subsided and digestion has improved. I think I’m probably gluten intolerant but just never realized about it. My husband’s been paleo/primal for a couple of months and he’s lost about 6 lbs — he did the Zone for a few months before that and lost nothing. It is hard to convince others to give it a try. I just cringe when I see the sugar and refined starched people give to their kids, but it seems few parents are open to suggestions. I always LOVE these posts. 🙂 Fantastic stories – keep up the good fight against CW! I started on the PB the end of April, 10′ am down 10 pounds stopped taking BP meds now 117/76 on a regular basis. No longer taking OTC Prelosec and Zantac on a daily basis as before starting PB and even though I always stayed active am finding it easier now because of the improved eating habits. Really haven’t missed the cereal and bread at all. Looking forward to the results in a couple of months! By the way I am 63 and wanted to pass that along in case anyone of my generation was reading this! Thanks to all of you for sharing your stories! My husband and I went Primal at the end of March. Within a couple of weeks I was already down 6 pounds! I’m doing great with eating, walking & sprinting – but need to do better at lifting heavy objects. Our biggest complaint is that we are in between sizes … but feel that is a good thing! At least I can get away with skirts if my pants don’t fit … he better not go that route!! Maybe in a few months I’ll be able to give my story with photos! !